All you have to do in order to use the capabilities provided by the image editor is reference the Telerik.Windows.Controls.ImageEditor.dll. There are several editing options you can perform when you select an image in RadRichTextBox. You can easily resize the image using the adorner that is shown around the image. In addition, the thumb that is shown on top allows you to rotate the image. 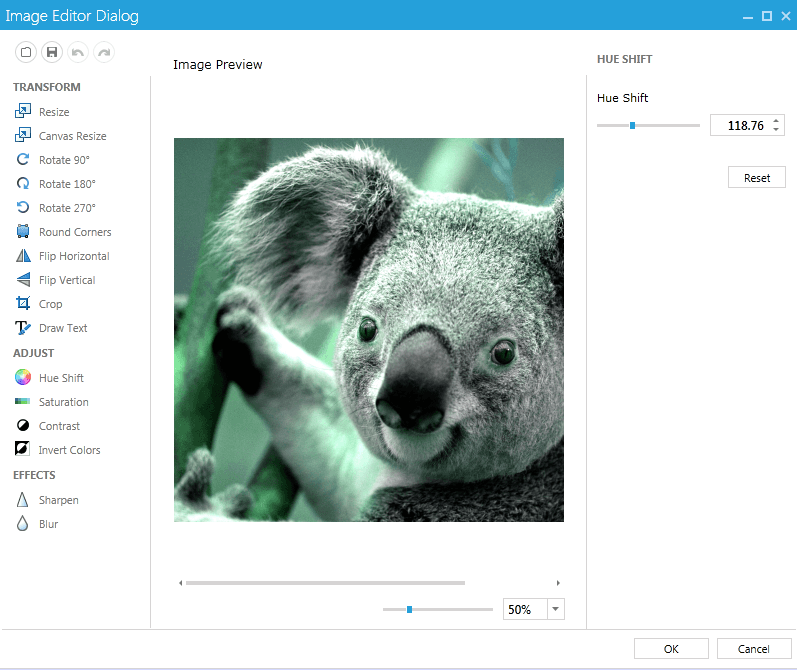 The ImageMiniToolbar allows you to quickly perform some of the options provided by the image editor. 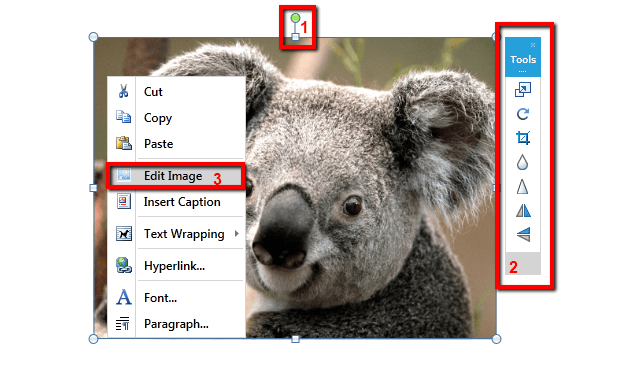 When an image is selected, a new item appears in the context menu – Edit Image. Clicking it opens the image using RadImageEditorUI and allows you to edit it using the provided capabilities. Clicking the OK button applies the changes made to the image and shows its new state in the document. Alternatively, you can disable the capabilities of the image adorner by accessing it though RadRichTextBox's ImageSelectionAdornerSettings property. This allows you to set the bolean properties CanDrag, CanResize and CanRotate which disable/enable respectively dragging of the image, resizing it or rotating it. In order to prevent the ImageMiniToolBar from showing you should set the IsImageMiniToolbarEnabled property to false either in XAML or in code-behind. As for removing the image editing option from the context menu, you can do that by creating a custom menu builder, which derives from ContextMenuContentBuilder and override the CreateImageCommands() method.